SINGAPORE IS A VIBRANT LITTLE COUNTRY WITH COLOURFUL IDENTITY THAT BLENDS COLONIAL AESTHETIC TO MODERN LIFESTYLE. WITH DIVERSITY OF CULTURE, THE COUNTRY’S NIGHTLIFE SCENE IS FULL OF CREATIVITY AND YOU MAY EASILY FIND YOURSELF HOOKED TO THE ATMOSPHERE, FOOD, AND DRINKS AT ONE OR MORE BARS WE BRING YOU TODAY. 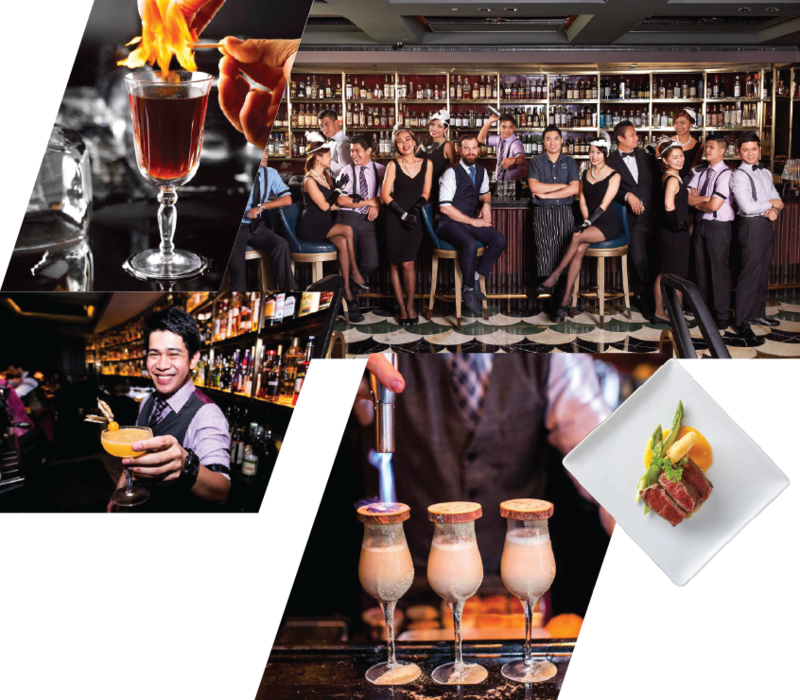 Recently honoured as the best bar in Asia by Drinks International, Manhattan Bar at Regent Singapore breaks away from the stereotype of old fashioned, stuffy, and boring hotel bar with clichéd drinks, and delivers imaginative menus in the elegance of retro Manhattan vibe. 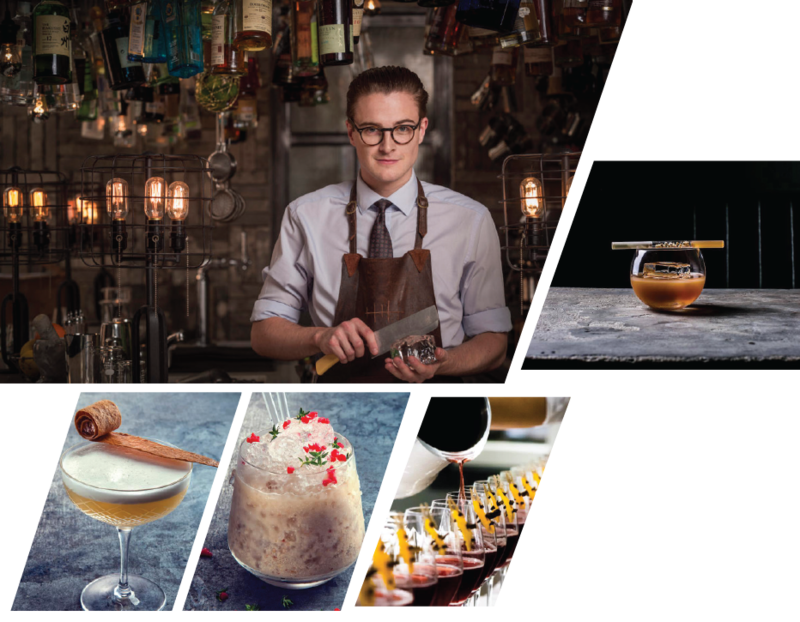 An ace team of young bartenders are trained by the hotel’s bar manager, Philip Bischoff, to craft a diverse list of proven cocktail menu. Manhattan Bar also boasts its own barrel room where they age a million-dollar worth of classic cocktails like La Louisiane and El Presidente. 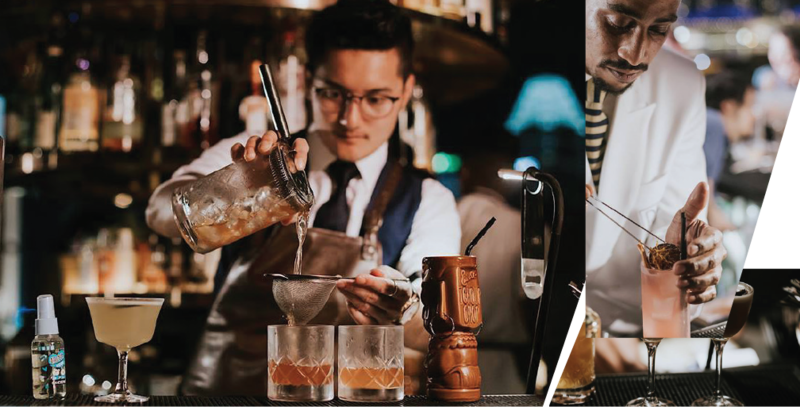 The rich history of Singapore is a flavourful one and it goes perfectly well with Nutmeg & Clove cocktails offerings. 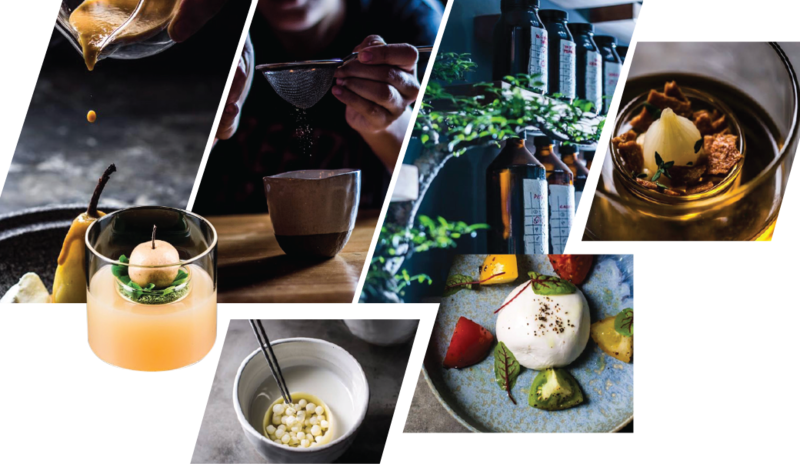 Inspired by William Farquhar’s Natural History Drawings book, the bar creatively adapted local herbs, spices, and fruits, such as chrysanthemum, butterfly pea flower, watermelon, coconut, and even durian, into cocktails to recreate new classics with expected, yet familiar flavours. UNEXPECTED TO FLAVOURS THAT WE ALL KNOW AND LOVE. 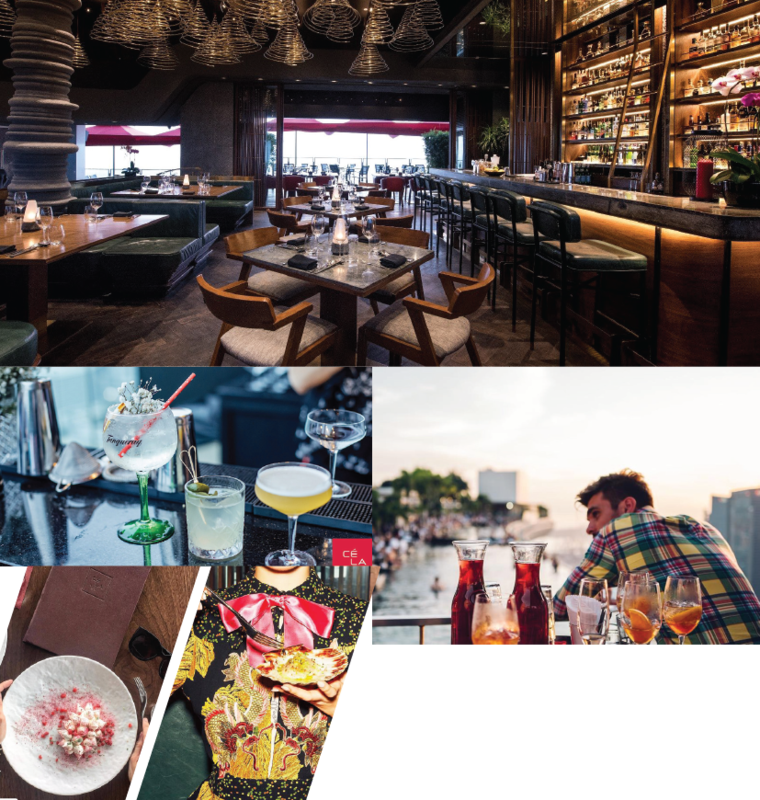 With sweeping views of Marina Bay, chic contemporary design, and elegant setting, Axis Bar and Lounge is where Singaporeans and travellers go to see and be seen. During the day the lounge serves delectable selections of light snacks and sandwiches, as well as afternoon tea, sweets, and scones. The bar transforms into a chic destination for light tapas and refreshing cocktails with glittering sea of night lights in the background. The world seems a little more glamourous when you stand on top of Singapore’s youngest architectural landmark. 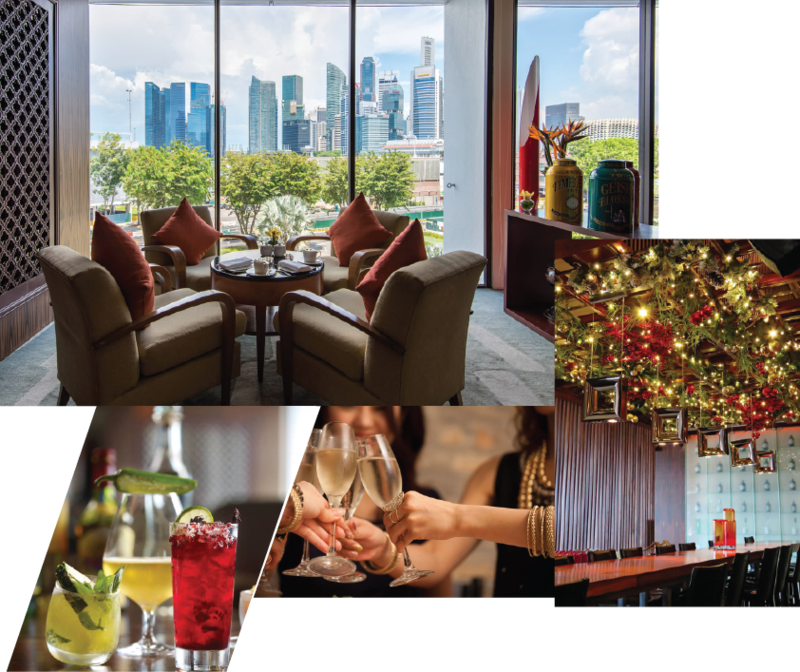 Perched on the SkyPark of the fabulous Marina Bay Sands, CÉ LA VI is the party bar with unobstructed panoramas. 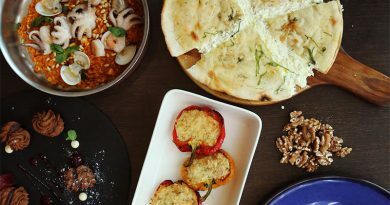 The awardwining bar boasts an extended list of fine wine, champagne, and sake selections, which can be paired excellently with its world-class Asian cuisine. Great rooftop bars aren’t defined by its height alone as proven by Smoke & Mirrors. Nested on the top floor of the Grand National Gallery, Smoke & Mirrors sits just 6 storeys high above ground, but it still commands one of the most spectacular cityscapes in Singapore. The bar is Yugnes Susela’s, a former Tippling Club bartender, big break as the head bartender, so expect cutting-edge cocktails inspired by Asian flavours, canvasses in the gallery, and reinvented classics with a play on chemistry and enchanting presentation. 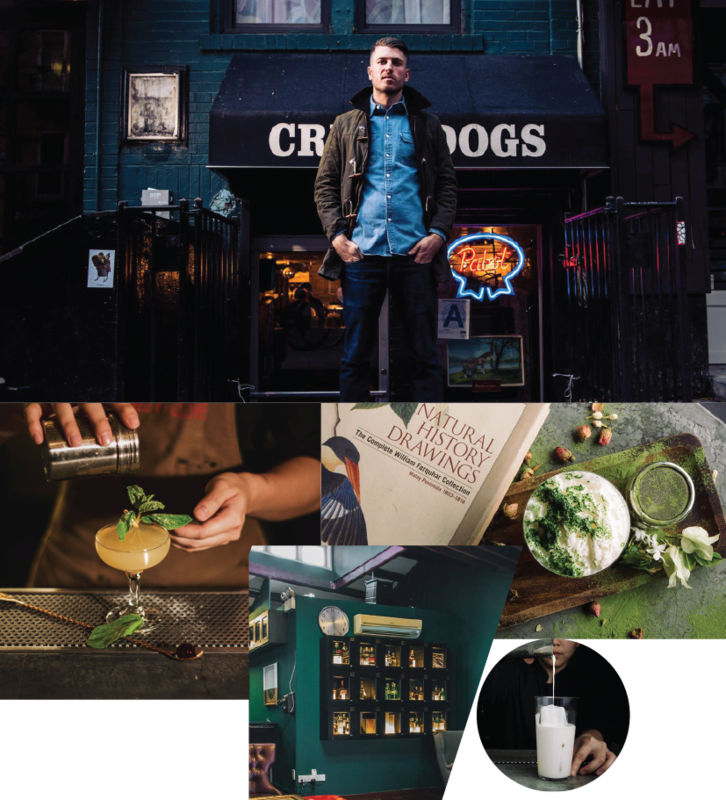 Operation Dagger isn’t your ordinary glitz and glam scene when you think of a great bar. The underground bar looks like a secret lab in its modern minimalist style with polished concrete, and wooden bar and shelves. 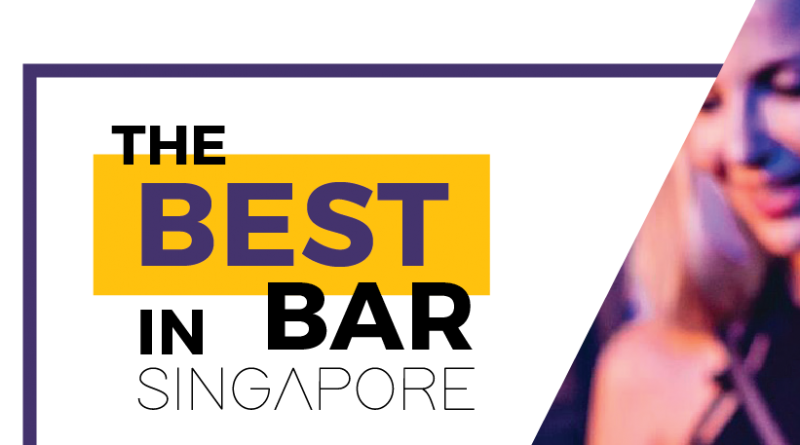 However, it didn’t earn a place on Having been on the list of World’s Best 50 Bars for 2 consecutive years for its minimalist décor alone – it’s the complexity in the glass which pairs exceptionally well with light snacks too. 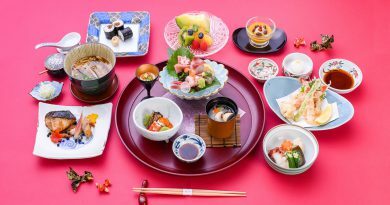 You can try each cocktail on your own desire or take their 3-course Omasake to get the full flavour experience. BOTTLES LABELLED WITH A GRID OF FADED DRAWINGS.